thermoskin, support for hand and wrist, protection for wrists, sprains of wrist, twisted wrist support. 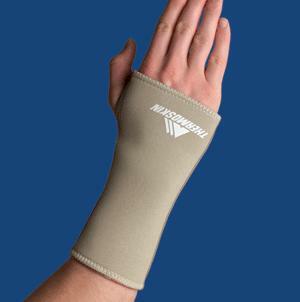 Provides protection and support for the wrist/hand and is useful in the treatment of sprained or twisted wrists. Available in Small, Medium and Large. This product is for right hand.